There has been a notable resurgence in the phenomenon of the one-person band in the past fifteen years. The reasons for such renewed interest are complex, ranging from technological advances in the music software industry to the aesthetic of total creative and artistic autonomy. It's hard to imagine a more perfect example of DIY music-making than the one-man band which is totally based on the artistic vision of a single person, a musician doing it by his or her self, doing it alone, and keeping it simple. Or is it so simple? Unlike a singer accompanying himself on acoustic guitar, playing wind instruments strapped around the neck, and beating a simple drum kit connected to a foot pedal mechanism, SOLUS is a studio project creating multi-layered complex yet accessible instrumental hybrid-rock music blending influences from different times and places. The project is based in Calgary, Canada and operated by Devin Thompson who draws inspiration from Hindu and Middle Eastern music, Psychedelic, Stoner, and Progressive Rock. SOLUS debuted in November 2017, with the full-length album "Satya Yuga". In early 2018, the project signed with R.A.I.G. Records. "There were no poor and no rich; there was no need to labour, because all that men required was obtained by the power of will; the chief virtue was the abandonment of all worldly desires. There were no diseases; there was no lessening with the years; there was no hatred or vanity, or evil thought; no sorrow, no fear. All mankind could attain to supreme blessedness." (from "Mahabharata"). The Satya Yuga, also called Satyug, or Krita Yuga in Hinduism, is the first of the four Yugas when humanity is governed by gods, and every manifestation or work is close to the purest ideal and humanity will allow intrinsic goodness to rule supreme. 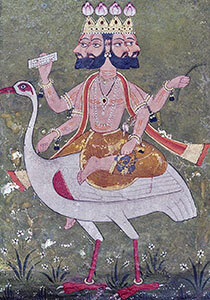 That period lasted 1,728,000 years; Dharma depicted in the form of a cow stood on all four legs which symbolize Austerity, Cleanliness, Mercy, and Truthfullness. 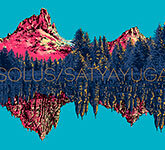 Digitally released by the author in November 2017, "Satya Yuga" is the debut offering from the Canadian one-man band SOLUS. Performed, recorded, mixed, and mastered by Devin Thompson at his home studio. For lovers of meandering instrumental melodies infused with traditional eastern folk instruments, driving basslines, hypnotic drums, and fuzzed out riffs. For the first time in physical format: CD (8 tracks – 49 min.). Free streaming or immediate digital download of the album (MP3, FLAC or other formats) is available through Official R.A.I.G. Bandcamp. "If you like eastern inspired instrumental music, give this one a go." – by Scott 'Dr. Space' Heller at Scott's Music Reviews (Denmark) (November 2018). More reviews: Divide and Conquer (USA), Musikreviews.de (Germany), New Underground Music (The Netherlands).